• In recent polls, 60 to 80 percent of registered voters say they want an independent presidential candidate. • Independent voters now constitute the largest segment of the American electorate. America is at a political crossroads. We are growing alienated from the two major parties, which are dominated by ideologues and offer simplistic solutions, with candidates who think only in terms of how to frame issues-often irrelevant “hot-button” issues-in order to get elected. Meanwhile, voters tend to crave real solutions to the real problems we face-energy independence, affordable health care, the environment, jobs, sustainable national security. And increasingly those voters want change and they want it now, yearning for leaders who understand the tough problems, confront them head-on, and can offer practical solutions without kowtowing to lockstep partisan interests. A behind-the-scenes force in American politics for more than thirty years who has worked with, among others, Ed Koch, Jon Corzine, and Michael Bloomberg, political consultant Douglas E. Schoen now makes a bold argument: that the 2008 presidential election offers an unprecedented opportunity for the right third-party ticket. 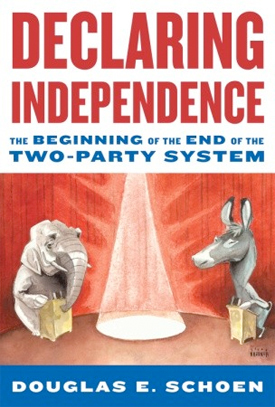 In Declaring Independence, Schoen discusses major trends-voter dissatisfaction, lengthening campaign seasons, networking and fund-raising on the Internet, demographic shifts, fundamental changes in how Americans view their leaders-that are opening the door to more independent candidates and radically transforming how all candidates present themselves to the electorate and citizenry. The numbers don’t lie: We are a nation of political moderates who want smart, workable solutions to our serious problems. Largely as a result of media attention, the current cynical and dysfunctional political system divides us into red and blue Americas-and in turn makes government less responsive, efficient, and effective. Americans want to see results; they don’t care whether those results come from Republicans or Democrats or people outside the two old-school parties. 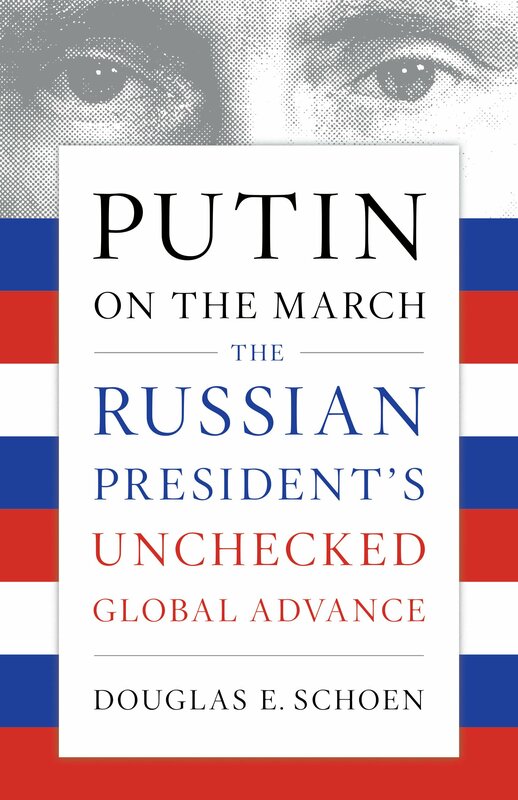 This is the first major book to study and analyze the large-scale trends and minor developments that could pave the way to a successful third-party presidential candidacy. Clearheaded, optimistic, and filled with incisive commentary from a respected authority on campaign politics, Declaring Independence offers a cogent glimpse at a transformed near future of American politics and government.